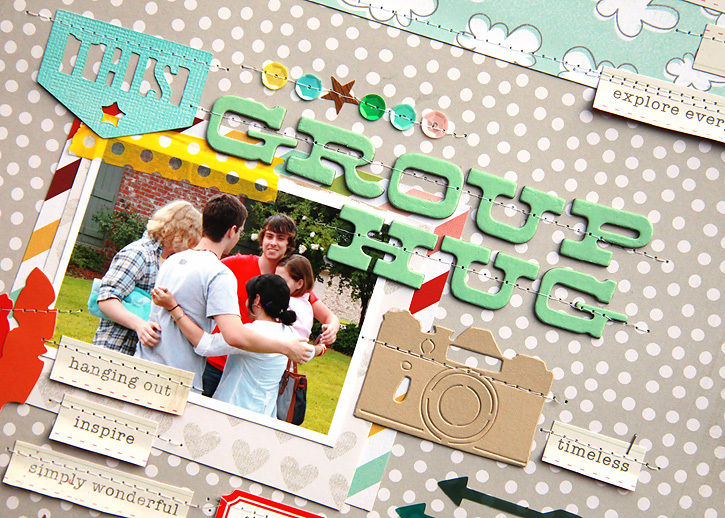 Have you ever had a scrapbook collection that totally inspired the subject of your page? 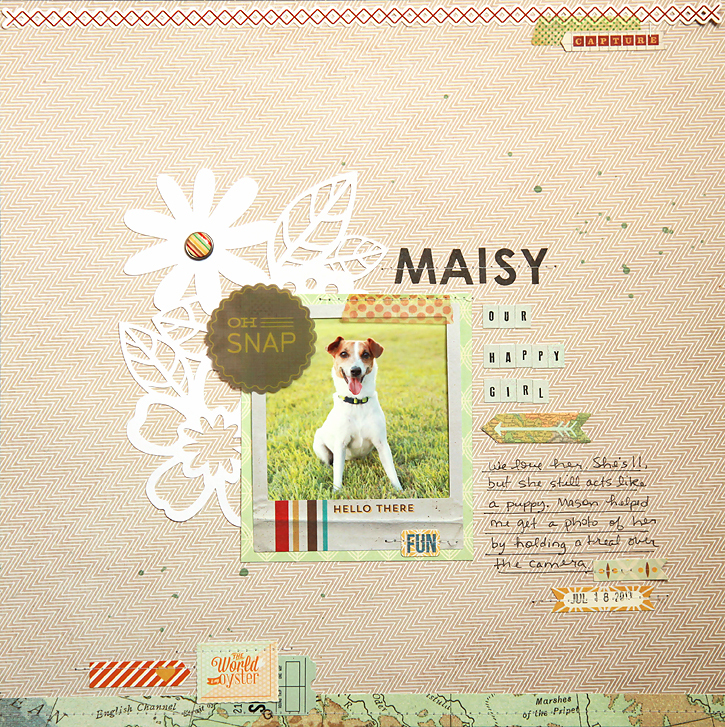 That's what happened for this page when I started looking through the Thataway collection by Studio Calico. 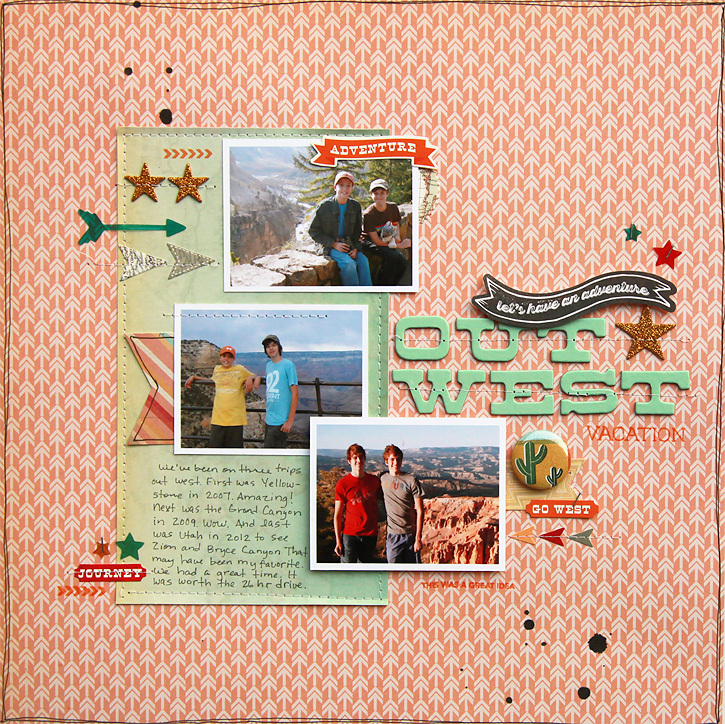 I was noticing how the orange tones in some of the papers would look great in one of our trips out west when I came up with the idea of using a photo from each of our three trips out that way - Yellowstone in 2007, Grand Canyon in 2009 and Utah (Bryce and Zion) in 2012. All three were wonderful vacations and I love seeing how the boys changed in just five years! This month's Double Scoop kits were incredible to work with! 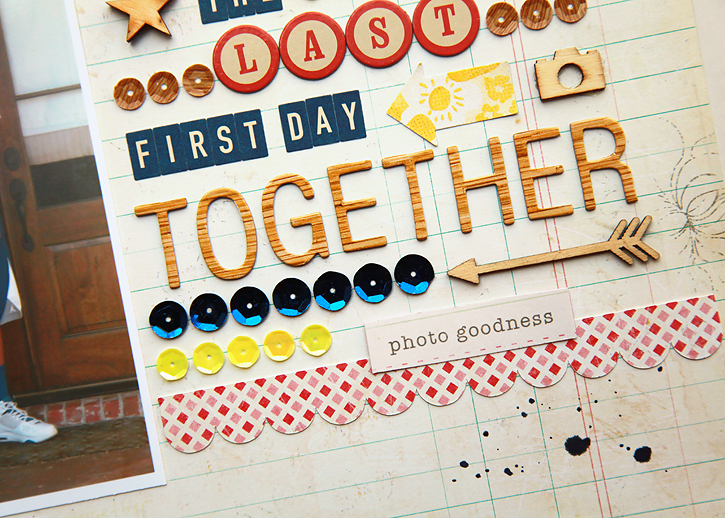 So many pretty papers, thickers and embellishments! I'm so glad I had a little extra time to make some layouts this month after I was finished making my Project Life spreads! 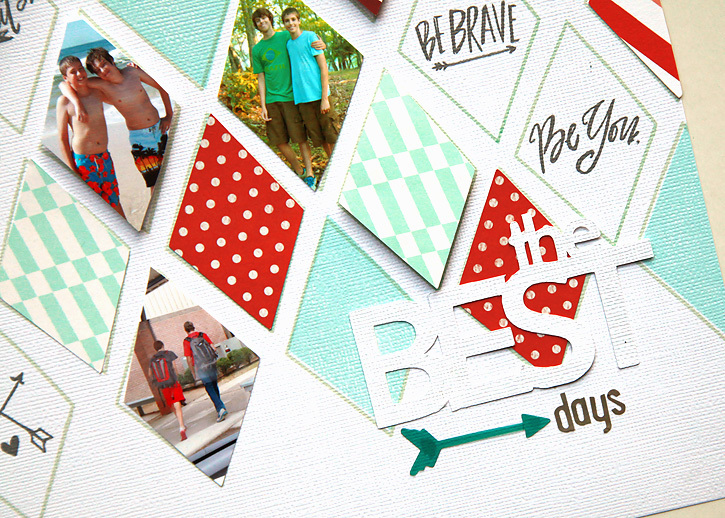 This first layout was inspired by the Lindsay Letters stamp set. I stamped the diamond outlines all over my background. Then I used the blank cut file and my silhouette to cut out the patterned paper. I used the stamp to outline where I wanted to cut my photos and then cut them by hand. I filled in the remaining shapes with the other stamps. Very different from my typical style, but I had fun with it! 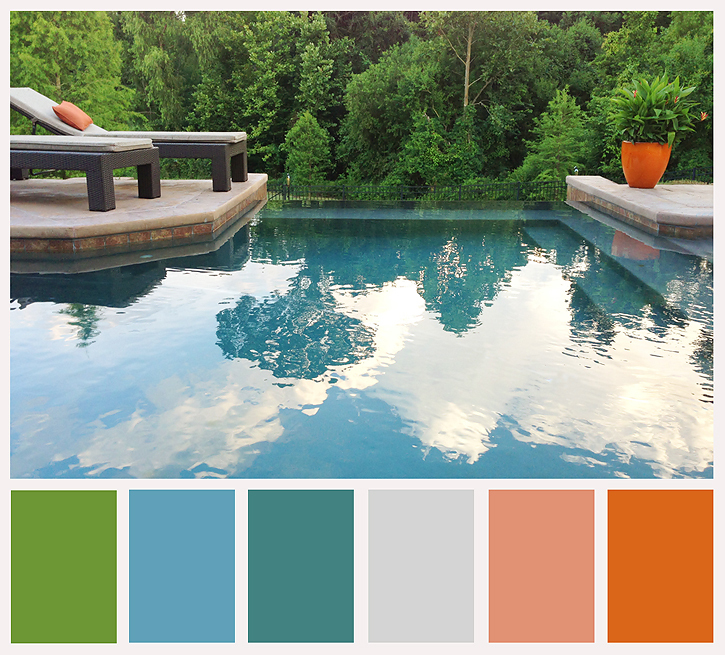 This next layout came together faster than probably any other layout I've ever made. It only took me around 45 minutes! I wish I knew why so I could repeat it next time, but all I know is that the papers and embellishments just fell into place and then I was done. I loved this moment when Alec's friends arrived for his surprise 18th birthday party and I was glad I was there to get a quick photo! 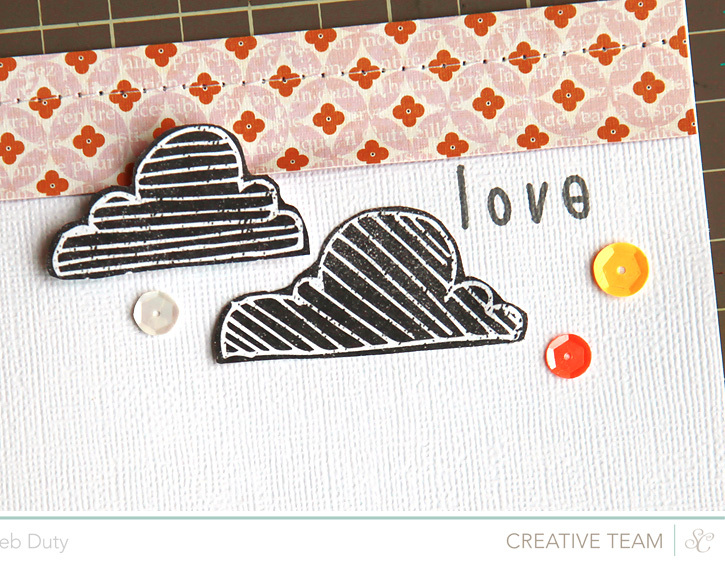 I love those green thickers from the Thataway collection and that cloud paper from My Mind's Eye is so cute (I love the other side of it too)! The strips of words were cut from a Maggie Holmes paper that's in her new collection. 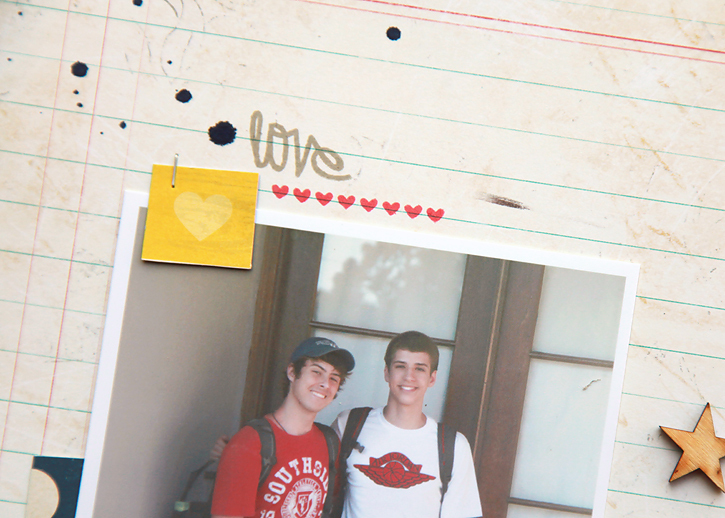 On this last layout, I used a recent favorite photo of Mason. 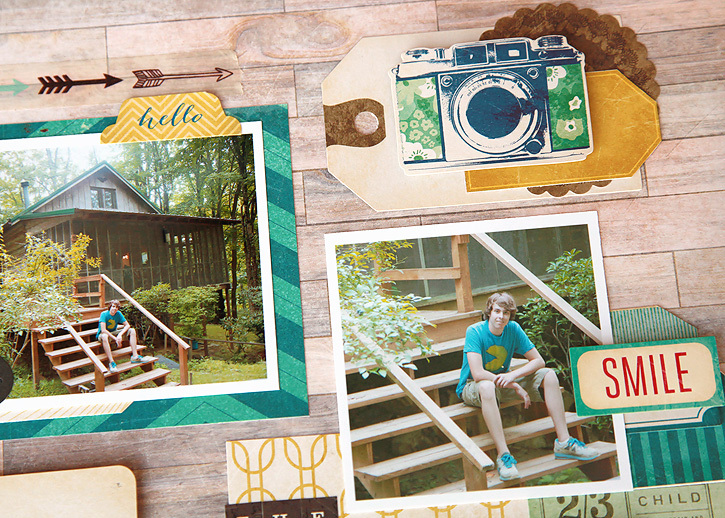 The "what's happening" sticker inspired a layout listing what Mason was into over this summer. I came up with most of them and then asked him to help me come up with a few more and then stamped them at the bottom with the alpha roller stamp included with this month's Project Life kit! So that's the first three, and I have a couple more I'll be sharing soon! 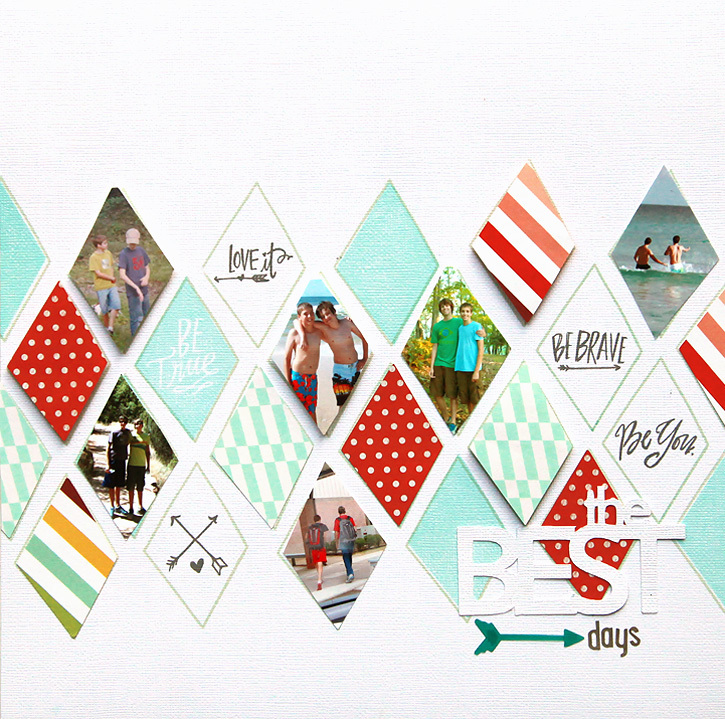 It's time for the Double Scoop kits to be revealed at Studio Calico! These kits were so inspiring... it made creating easy. 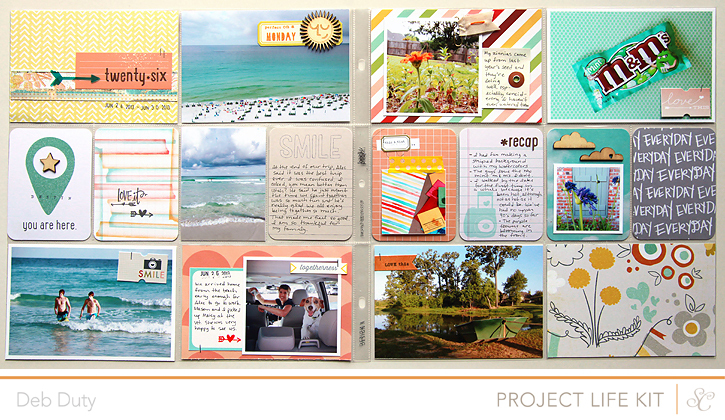 I was actually a little faster this month so I not only made four Project Life spreads, but also five layouts so far. Everything just fell into place. 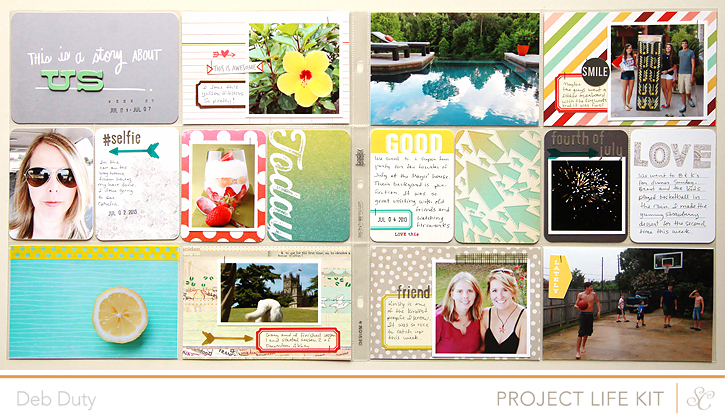 Today I'm sharing my Project Life, and I'll be sharing the layouts soon! 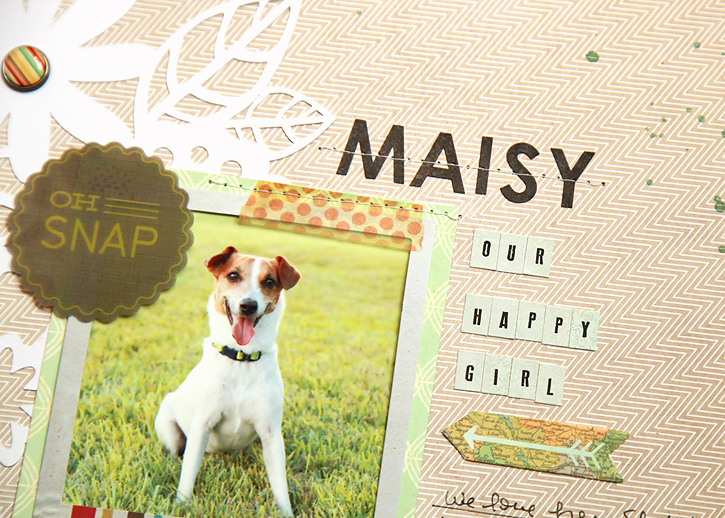 Be sure and check out the Lindsay Letters add on stamp. It is amazing!! 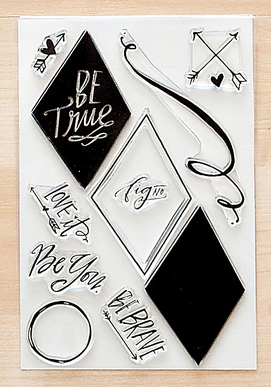 I used those little phrases and arrows over and over... love her designs! 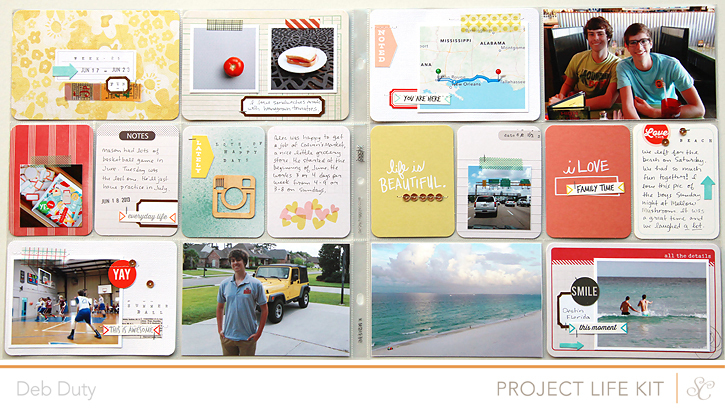 And here are my Project Life spreads this month. 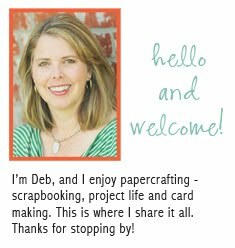 Clicking on the image will take you to the Studio Calico gallery where you'll find detail shots and an explanation of which kits I used to make each spread. Let me know if you have any questions about anything! I hope you have as much fun with these kits as I did! This is the first time I've ever scrapped one of our wedding pictures, and I guess it's time since our 10th anniversary will be here soon! 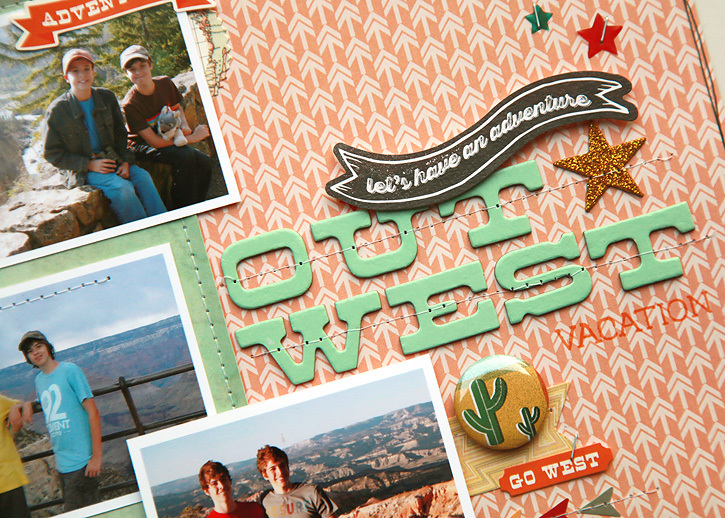 I used the Valley High kits from Studio Calico. I loved the colors from this kit - the oranges and pinks are so pretty and that is a color combination I don't use often since I'm usually scrapping my boys. 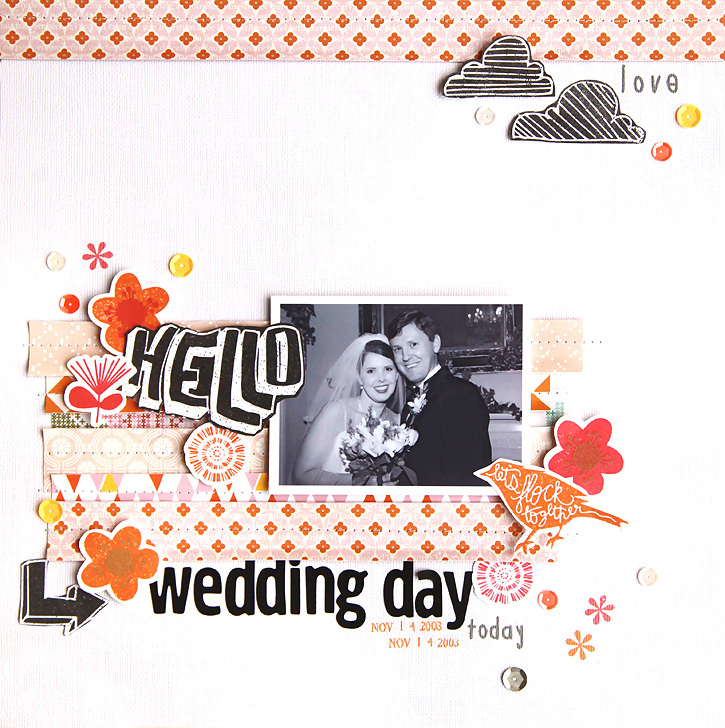 That gorgeous pink and orange paper at the top is by Kesi Art, and is in the Jennifer add on. I used the stamps from the Valley High Card kit. 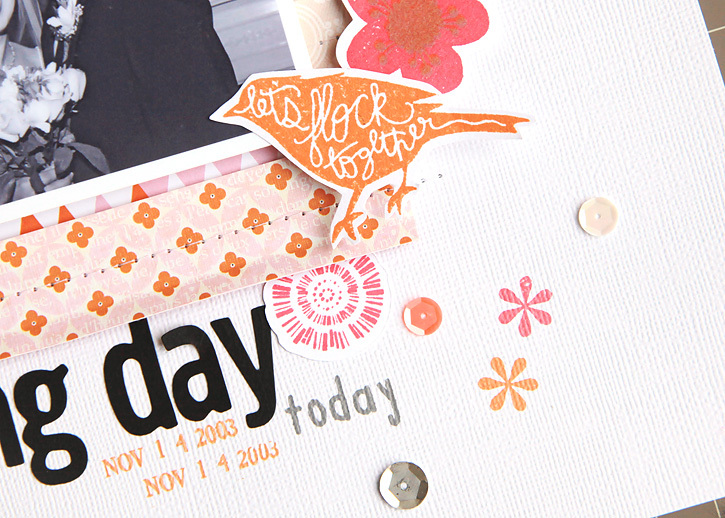 I've already had tons of use from the words on this stamp set (like on this layout), but this time I used the cute flower shapes and cut them out to use as embellishments on my page. 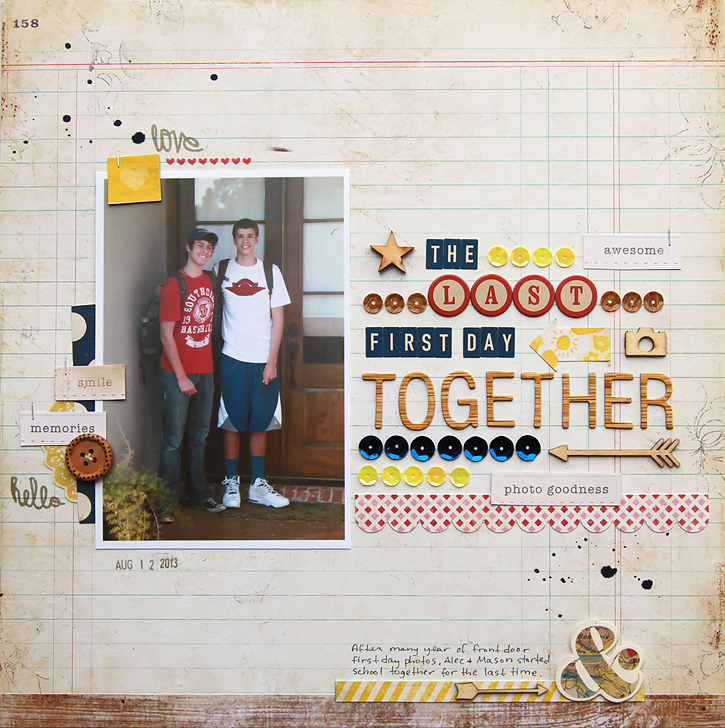 I'm sharing this layout along with a challenge on the Studio Calico blog today. Check it out for a chance to win a $5 gift card to the shop! 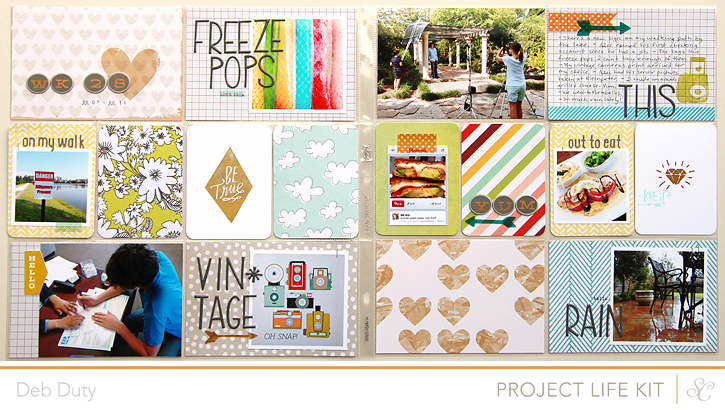 Don't forget tomorrow is reveal day at Studio Calico! 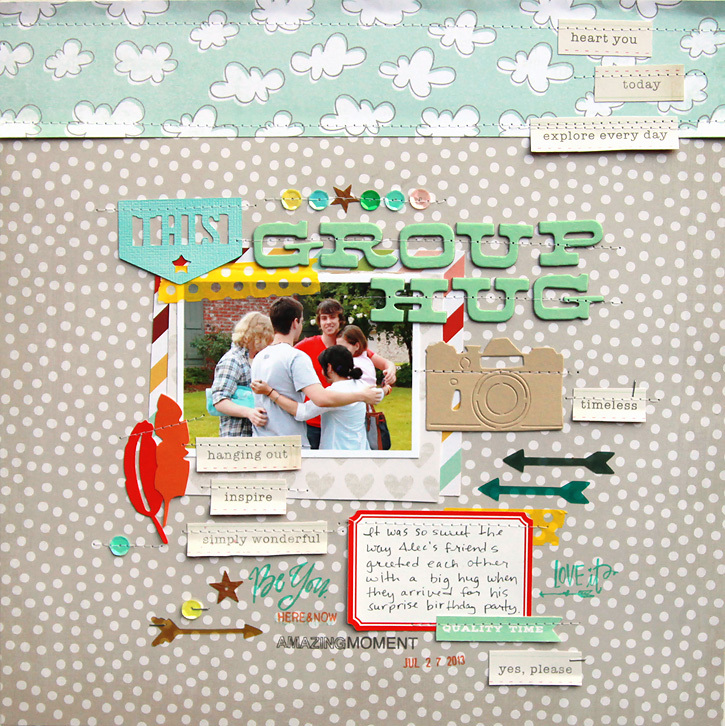 I'll be sharing the four Project Life spreads I made with Double Scoop and soon I'll be sharing some layouts I made too - so far five with September's kits! 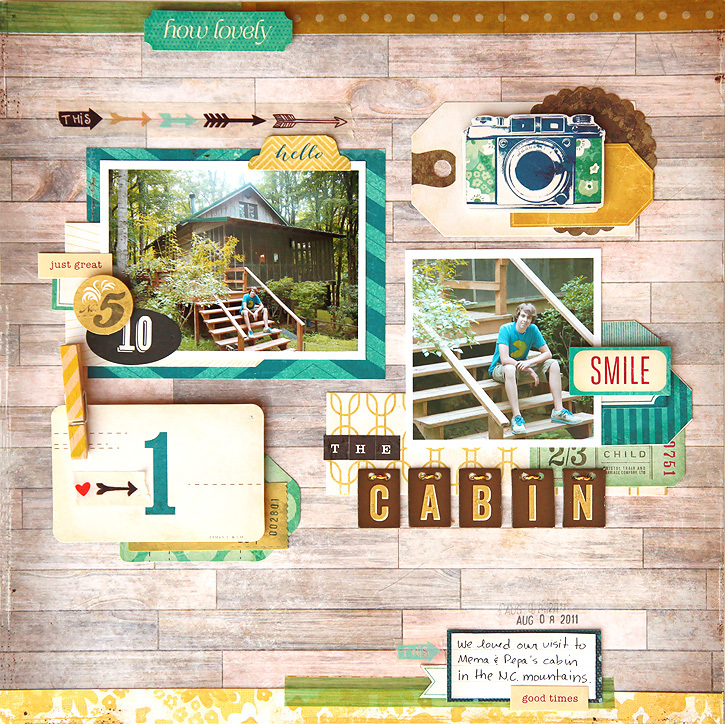 While I'm waiting for the new Maggie Holmes Flea Market collection to arrive, I have a layout made with her first collection to share. I know her line has a lot of really pretty and somewhat girlie elements, but it's just as great for boys. 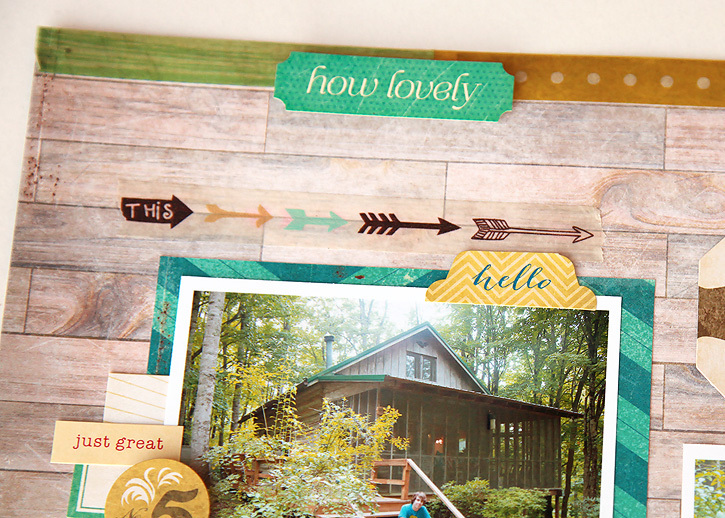 This layout is about the cabin we love to visit in the North Carolina mountains. It was built by my first husband's grandfather many years ago. He loved spending time there, and he would be very happy to know that his boys love it just as much. The Maggie Holmes collection is still available at Two Peas and the Flea Market collection should be arriving soon! 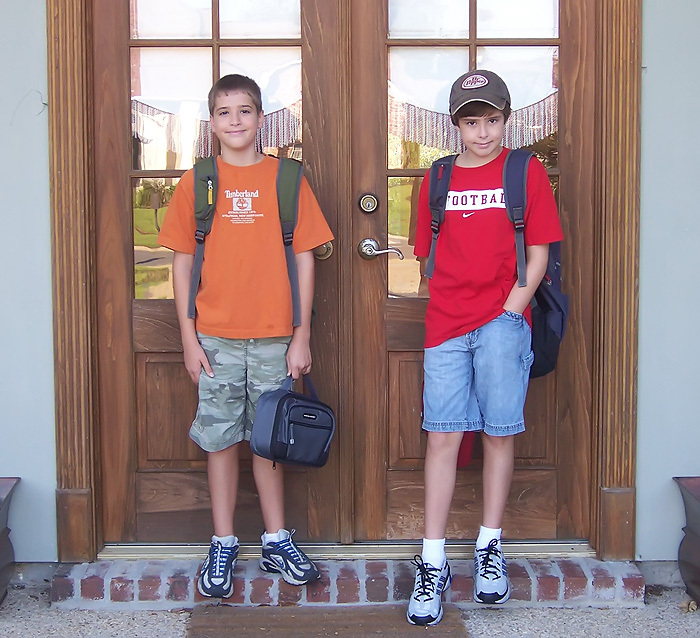 This is the last first day of school my boys will ever have together. 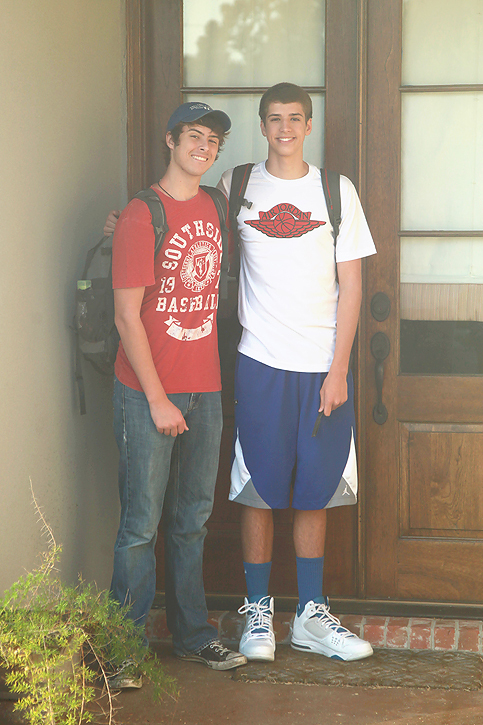 Alec's a senior and Mason's a sophomore this year. Summer was too fast again and I don't like it!! Thanks to my boys for putting up with me taking these pics every year! So I have to look back at all their first day photos. I do it every year. I'll just share a couple. 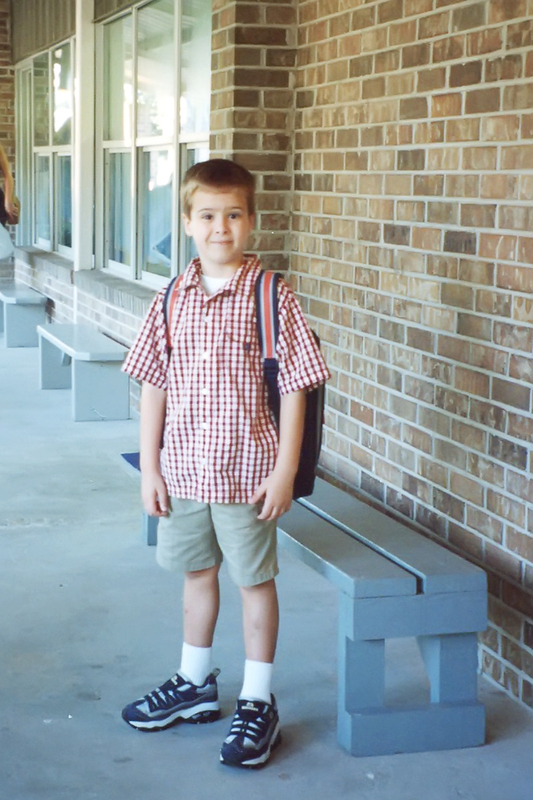 Alec on his first day of kindergarten twelve years ago at the same school he still attends today. I'm a very proud, very happy mom. But just a little sad today that once again summer vacation is over and they're another year older.